For 24 months after leaving public service, Ohio law requires all state elected officials and employees who filed a financial disclosure statement to disclose their subsequent place of employment to the OLIG. 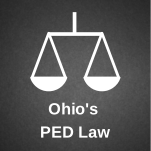 This disclosure is commonly referred to as post employment disclosure (PED). Any entity that, during the two immediately preceding years, was awarded contract(s) from a state agency/agencies worth an aggregate value of at least $100,000.00 (look up here). 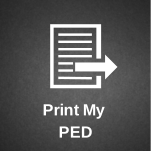 Those who receive income from a Qualifying Source are required to periodically submit Updated PED Statements to the OLIG. 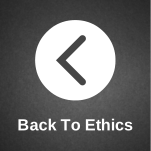 Initial PED Statements are completed by departing employees and are to be submitted to the OLIG by their public agency not later than an employees last day of employment. 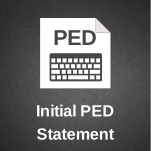 Each calendar year consists of three reporting periods, after which filers receiving income from a Qualifying Source must submit Updated PED Statements to the OLIG.